If you need to give a difficult speech, or convince a tough crowd of people to do something, you'll probably need more than just confidence and experience to get you through it. Sure, those things help, but it will go a lot easier if you butter them up first with a fancy party, or at least an extensive snack buffet. It would also help if you looked like someone with a history of giving really inspiring speeches. Someone like the President of the United States, for example. 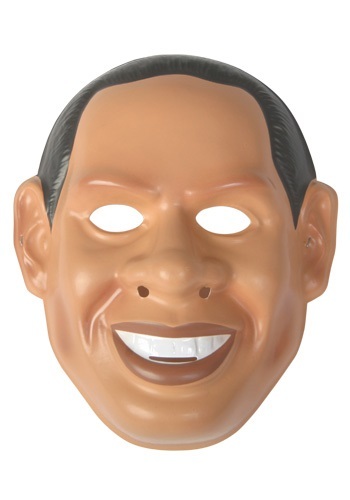 Whether you are out to get votes, or just trying to spread the word about a new donut shop, this Mr. President Mask will add a winning face to your words. 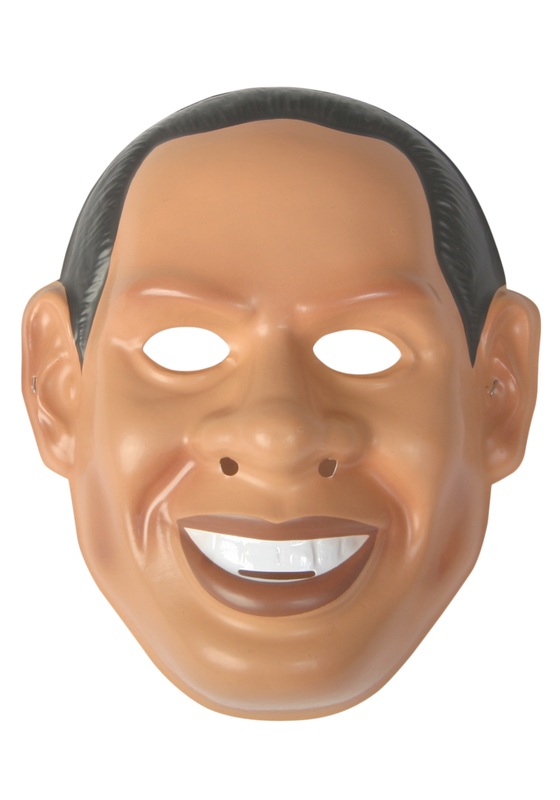 This plastic face mask is a quick and easy way to boost your approval rating, and will give a stately quality to your presidential costume. It may seem a little awkward to give a whole speech through a mouth slit, but we think you'll find that it's totally worth it.